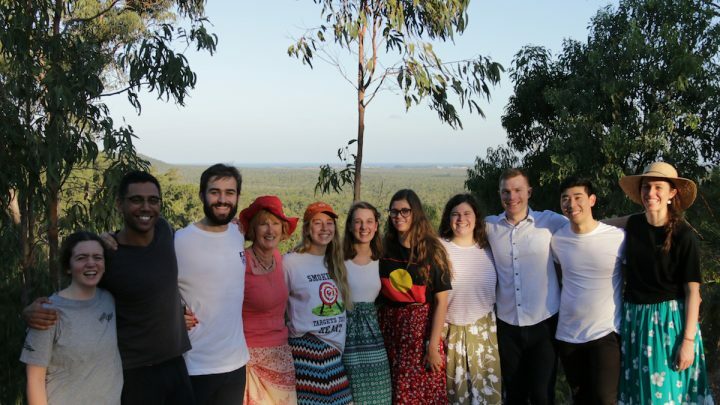 A strong, supportive community of Indigenous students within the wider Ormond community. 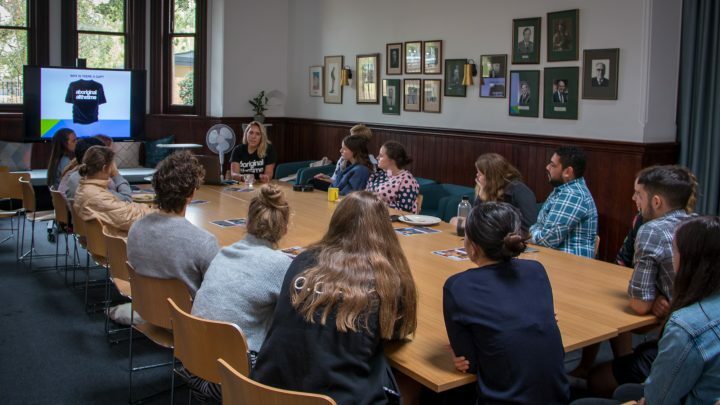 Currently, Ormond is home to approximately 20 Indigenous students studying at the University of Melbourne or the Victorian College of the Arts. We are committed to supporting the accommodation needs and residential experiences of Indigenous Australian students, ensuring all feel culturally and socially supported while achieving academically. We strongly encourage and welcome applications from Indigenous students planning to study any course, in any faculty. Indigenous students applying to the University of Melbourne may be eligible for the ABSTUDY Residential Costs Option. The Residential Costs Option will cover Indigenous Australians accommodation cost and provide the student with a reduced fortnightly payment. Students should have their ABSTUDY eligibility assessed in advance (before applying for accommodation) by contacting Centrelink on 1800 132 317. 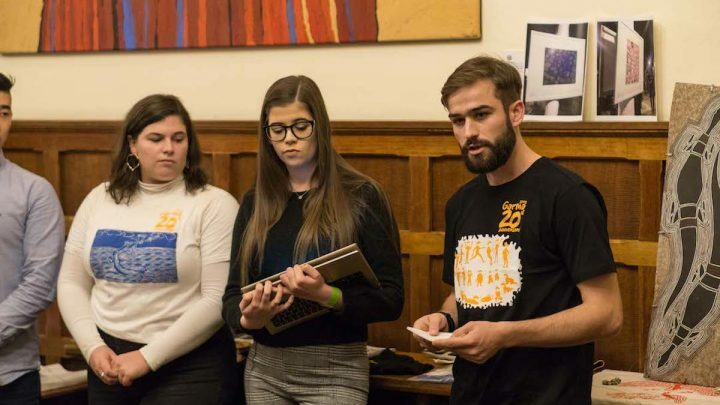 Please note: there are College related expenses that are not covered by ABSTUDY (for example, social events organised by the Ormond College Students Club) so Indigenous Students will be responsible for these non-compulsory charges. Murrup Barak Melbourne Institute for Indigenous Development can assist Indigenous Australian students to liaise with colleges and access financial support to meet their accommodation needs if the student is not eligible for ABSTUDY and the subsequent Residential Costs Option. Students can also apply direct to colleges without engaging with Murrup Barak if they do not require support and advice. Students who are not ABSTUDY eligible may be eligible to receive college fee-relief provisions. Applicants will be assessed on financial need, and will take into account the student’s contribution towards accommodation fees, the balance will be equally shared between the University and the respective college. At the end of this process students will enter into an agreement that will articulate this offer. Murrup Barak will lead the college fee-relief process with the colleges on a student’s behalf. For more information on how to apply, please contact the Indigenous Student Success Team. As part of an offer into the Bachelor of Arts and Science Extended Programs, students are required to live in college for their first year of study. This ensures students are connected and builds a foundation for success. If you are unsure of your funding options, please contact us for a confidential discussion. Indigenous students are an integral part of our College community. In 2013, we launched our first Reconciliation Action Plan (RAP) to the community. The current Reconciliation Action Plan (Innovate 2018-2020) includes strategies to ensure that the Ormond College Indigenous Program (OCIP) is sustainable and consistent with the values and educational goals of Ormond College. The RAP is available to download below. Students create opportunities each year to share their culture with the wider community. For example, a musical festival and debate have been held at Ormond around NAIDOC week, we invite speakers and community leaders to visit and actively promote reconciliation. Visit our Undergraduate or Graduate pages for more information on living and learning at Ormond. A group of Ormondians had the honour of travelling to Arnhem Land in Northern Australia for Garma Festival, a leading Indigenous forum. Students sharing their moving Garma Festival reflections with the College community, such as the importance of supporting the Uluru Statement from the Heart. Ngaree Blow, Noonuccal, Yorta-Yorta woman and Doctor, presented to students and staff on the challenges and hopes for closing the health gap. 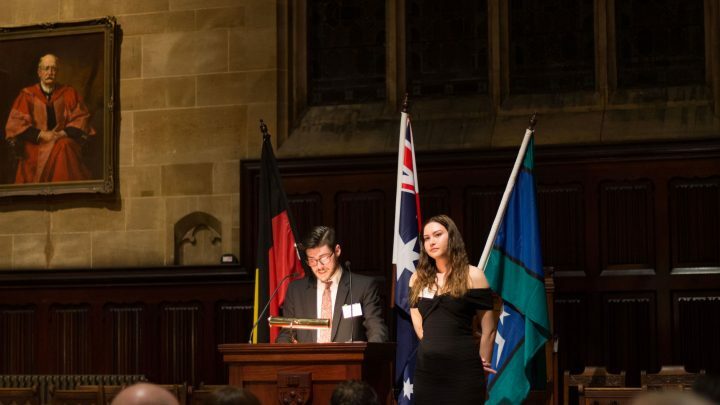 Student Patrick Mercer and alumna Kinjia Munkara-Murray share their experiences for a special dinner marking the decadal celebration of the Ormond College Indigenous Program. For further information, contact our Admissions Team on admissions@ormond.unimelb.edu.au or 61 3 9344 1107.